Do you find your tastes change when the cooler weather arrives? 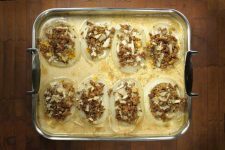 As the outside temperatures dip, we naturally turn to denser foods in order to stay warm – and this marries beautifully with the arrival of fall produce and winter storage products. At the local farmers market, cooling leafy greens and water-heavy produce that help us beat summer’s heat are replaced with heavier carbohydrates that provide more fuel, such as winter squash, root vegetables like sweet potatoes and onions, and apples. Uncanny, right? It’s almost like Mother Nature knows how to look after us! 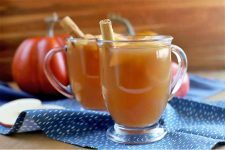 Another method she provides to keep us toasty through the cold winter is with the aid of heat producing, thermogenic spices – and they’re perfect for flavoring autumn produce, gingerbread goodies, and even warming drinks. Not familiar with these brilliant culinary stars? 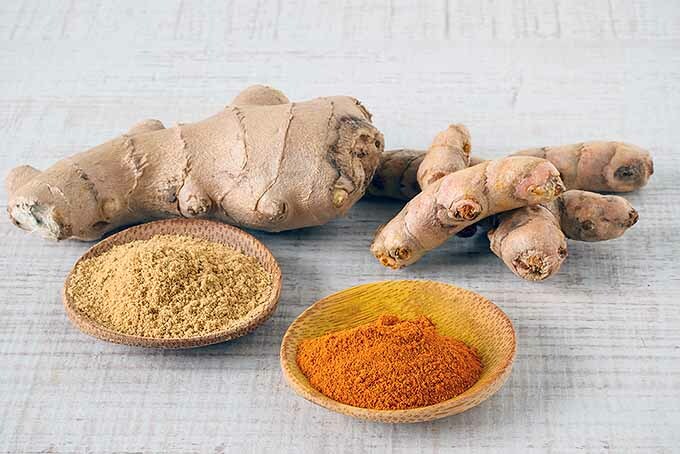 Join us as we introduce the heat and health-inducing features of the most common warming spices – and how to easily add more of them to our daily diets! Well, yes, she does know what’s best for us. Warming foods and spices have long been in use in Eastern cultures, both for culinary and medicinal purposes. 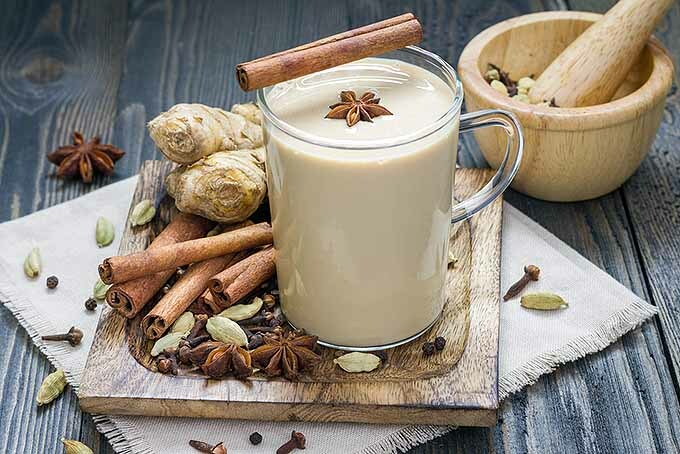 Ayurvedic tenets hold that our metabolism needs to work harder in winter to fuel the inner digestive fire, and that warming foods and spices are needed to stay healthy, with balanced energy systems. 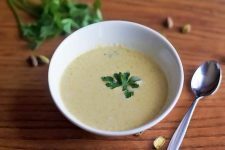 … these flavor intensives are known to have compounds that help to raise our core body temperature, aid digestion, boost blood circulation… which help us to stay warm and toasty in frigid temperatures. In Chinese medicine, these are referred to as yang foods, which are responsible for the activation and warming of bodily functions that keep us healthy and facilitate the flow of qi, our personal energy. 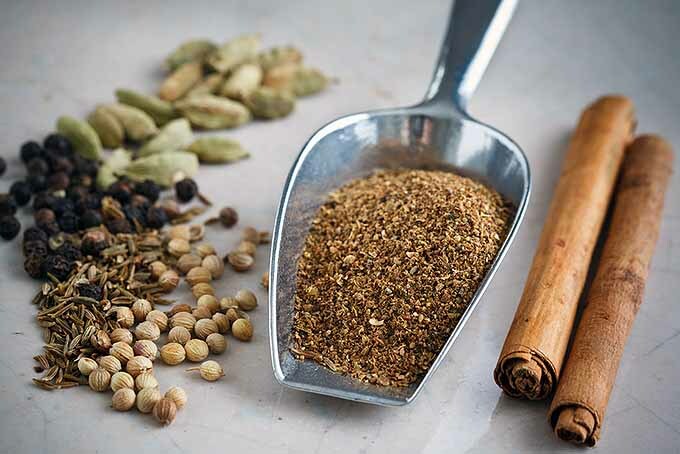 Today, Western science is providing the data to support these ideas, with numerous studies (and promising results) conducted into the purported health-promoting claims of warming spices. Many of these flavor intensives are known to have compounds that help to raise our core body temperature, aid digestion, boost blood circulation, flush the skin with blood, and remove excess water from delicate tissues – all of which help us to stay warm and toasty in frigid temperatures. Foods like nuts, seeds, and oats also help to warm and insulate us from the cold, as do veggies such as mustard greens, watercress, arugula, onions, and garlic. But by far, the highest concentration of heat producing foods is found in the spice kingdom. Thermogenesis is a process in which your body burns calories to utilize the food you’ve just eaten, converting the calories into fuel and heat. So theoretically, if you eat thermogenic foods, your core temperature increases, and your metabolism speeds up. 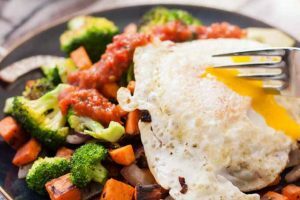 As most of us know from personal experience, a faster metabolism translates to into more calories being consumed and potentially more fat burned – a nice side benefit of staying warm. Spices are among the best foods to promote thermogenesis, and the following are the best of the best. 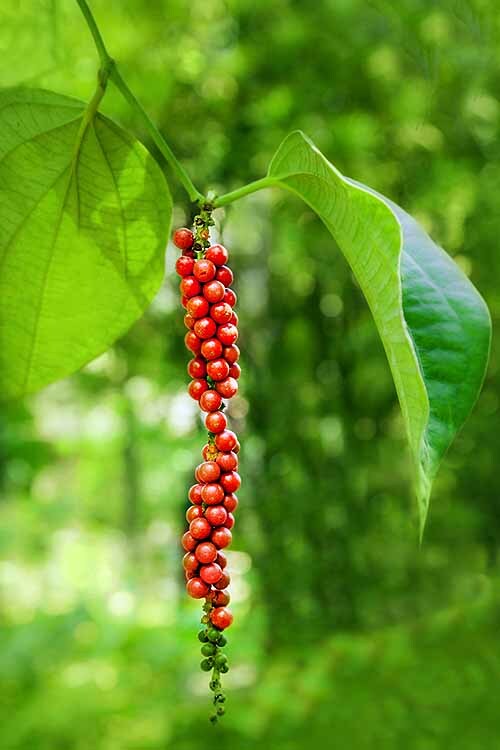 One of the most common of household spices, pepper was at the forefront of the spice trade and has a long and storied history. Native to India, it’s a flowering vine from the Piperaceae family, and is cultivated in tropical areas for its fruit, or peppercorns. These are dried and used as a spice and seasoning either whole or ground, with freshly ground peppercorns giving the best flavor and heat. 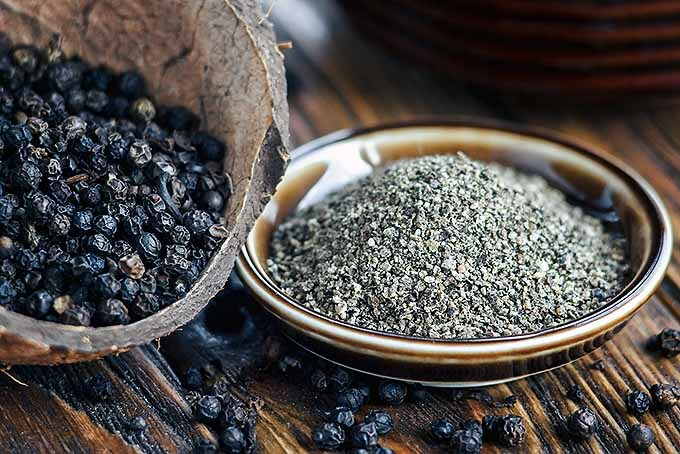 One of the most familiar thermogenic characteristic of black pepper is its diaphoretic quality, which means it promotes skin flush and perspiration thanks to the heat of its active ingredient, piperine. As well as its warming properties, piperine is known to have several beneficial health aspects. It may stimulate digestive enzymes and improve gastrointestinal functionality, and has antioxidant, antimicrobial, and anti-inflammatory properties as well. Pepper is easily added to a variety of foods in the form of dry rubs for meat, poultry, or fish, and it’s a natural in marinades, gravies, sauces, and salad dressings. 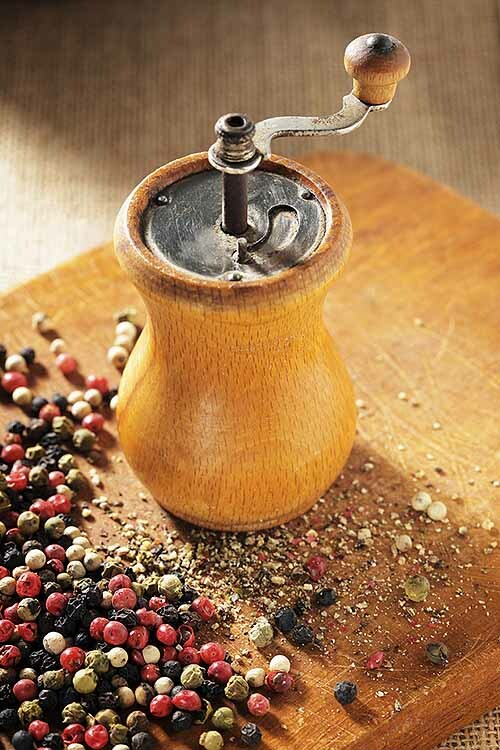 And of course, you can quickly add black pepper to any dish with a handsome pepper mill on the table. 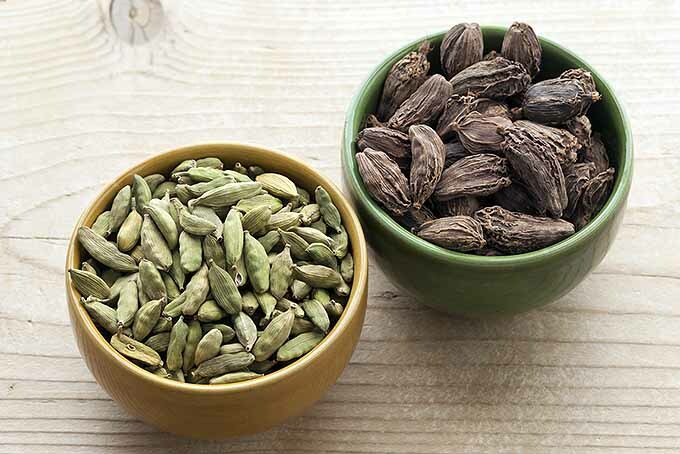 With its unique spicy-sweet flavor and fragrant seeds, cardamom is used in savory dishes and drinks such as masala, curry, roasted vegetables, and sausages. And it’s also a favorite in sweets and pastries, like this apple pear pie or our recipe for twisted cinnamon and cardamom loaf. A member of the Zingiberaceae family and a relative of ginger, cardamom is indigenous to the tropical regions of southern India and Sri Lanka. Known for high levels of concentrated cineol, it is a natural expectorant – meaning it stimulates the lungs which loosens and dries congestion, resulting in higher core body temperatures. 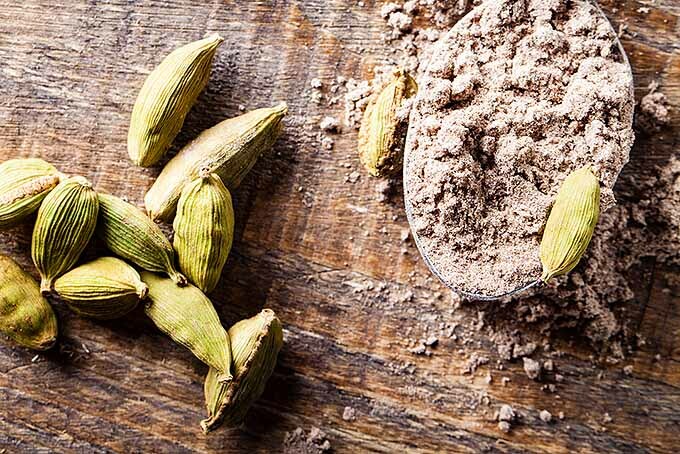 Recent studies have also shown cardamom to have other health-inducing properties as well, such as lowering blood pressure and significantly improving total antioxidant status. 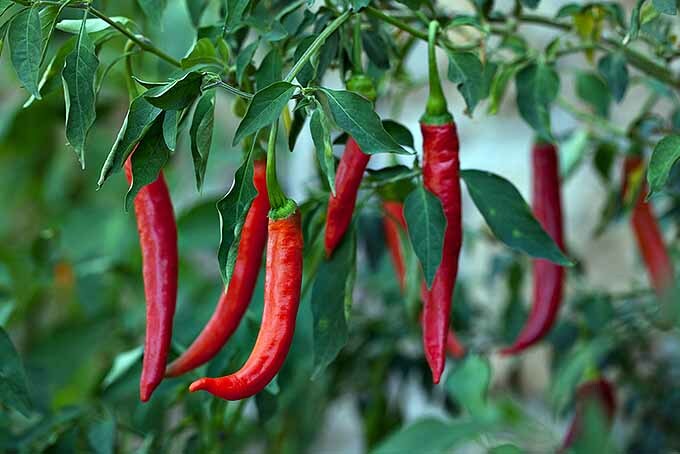 A member of the Solanaceae or nightshade family, cayenne chilies are usually consumed in powdered form, and are well known for their fiery flavor. 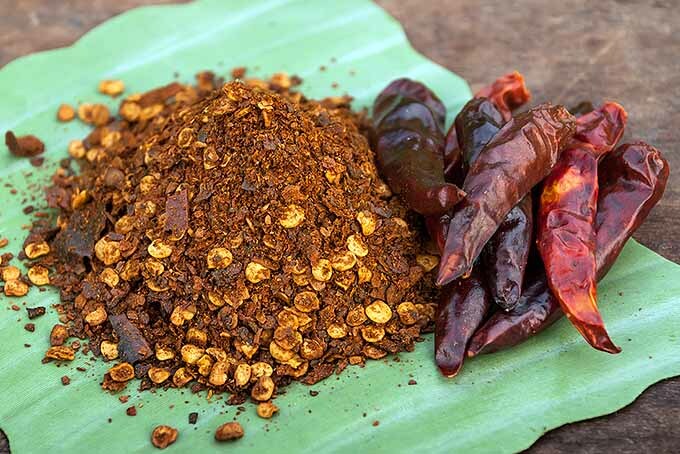 Native to Central and South America, today cayenne is widely used in Mexican, Cajun, and some Asian cuisines. Hot and spicy, it has a very noticeable warming effect when consumed – thanks to the high concentrations of the active compound capsaicin. Widely studied, cayenne is decidedly warming and has numerous potential health benefits including increasing metabolism and core body temperatures. 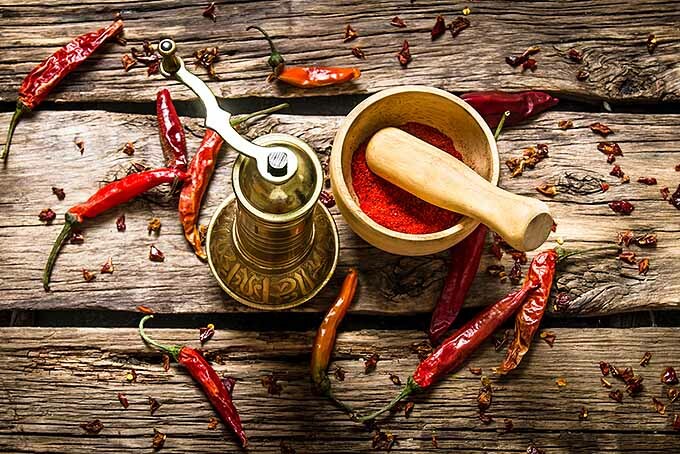 Add more cayenne to your diet as an ingredient in dry rubs, sauces, stews, and soups, for blackened chicken and fish, and in dishes like in tacos, chili, Mexican, and Szechuan cooking. 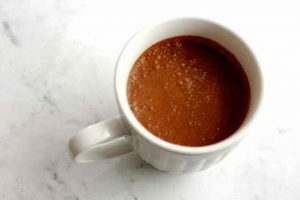 It’s also a great addition to chocolate truffles, and adds a lick of flames to Spicy Toasted Nuts. 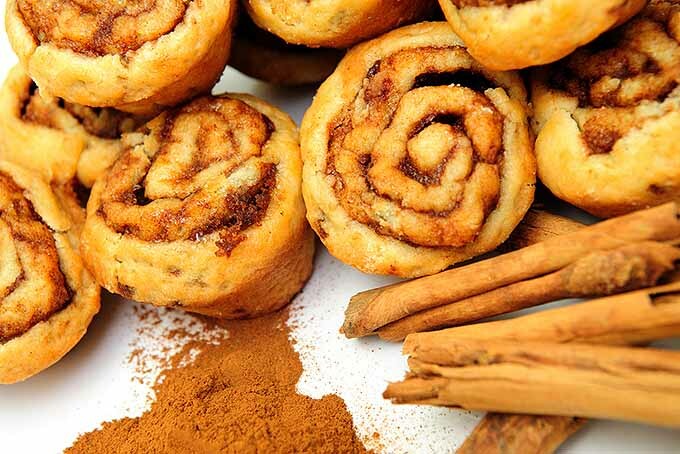 One of most well-known of warming spices, cinnamon has a distinctive aroma and offers both spicy and sweet flavors. Native to Bangladesh, Burma, the Malabar Coast, and Sri Lanka, cinnamon comes to us from the Lauraceae family, and has several cooking and health applications. 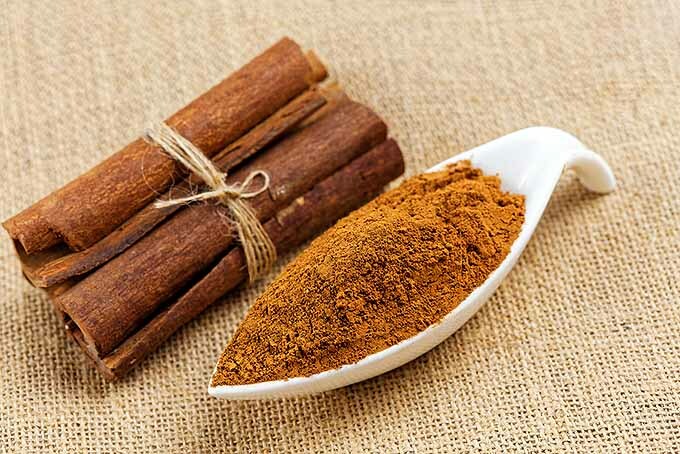 The astringent effect of tannins in cinnamon has a drying effect on mucous membranes. This removes excess water from tissues, which helps to raise body temperature. 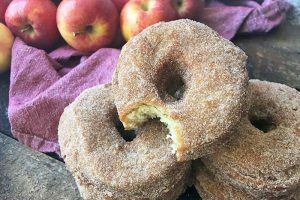 The subject of many studies, cinnamon has known antioxidant, anti-inflammatory, and antimicrobial properties, and shows promise in a host of other health applications. 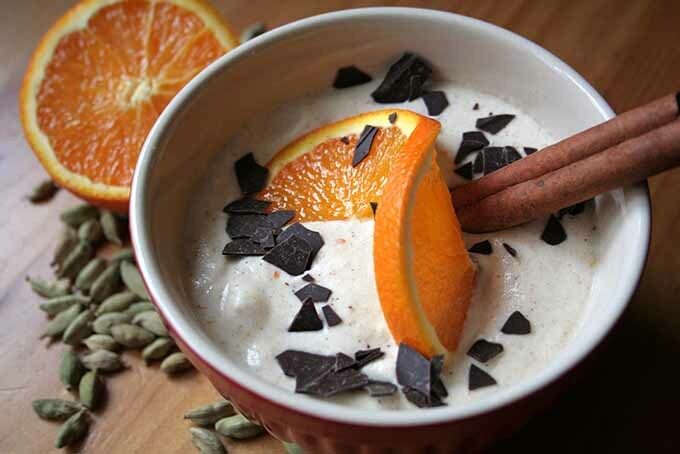 Orange Cinnamon Mousse Parfaits – Get the Recipe NowIt’s easy to add more cinnamon to your diet in savory dishes like fragrant and delicious Moroccan tagines, stews, or with lamb, chicken, and pork. Sprinkle some on roasted squash, or add it to sauces and soups. And of course, it’s equally at home in sweets and baking, from churros to chocolate to apple crisp and muffins. Plus, it makes a great addition to drinks as well. Hot chocolate, chai tea, coffee, and pumpkin spice lattes all respond well to the warm, delightful taste of cinnamon. 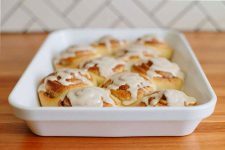 Try our recipes for Franz buns, maple cinnamon applesauce, cinnamon chocolate chip pancakes, and a spiced orange dessert mousse. 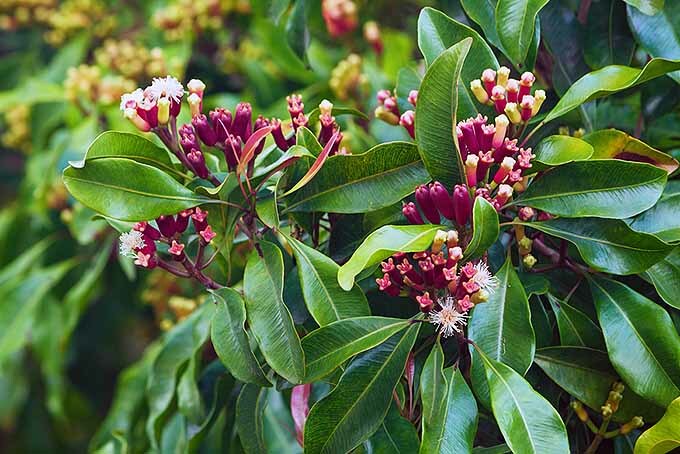 Originally from Indonesia, cloves are the dried flower buds of an evergreen tree in the Myrtaceae family. Warm, sweet, and aromatic, they’re another versatile spice that can be used in both sweet and savory dishes. 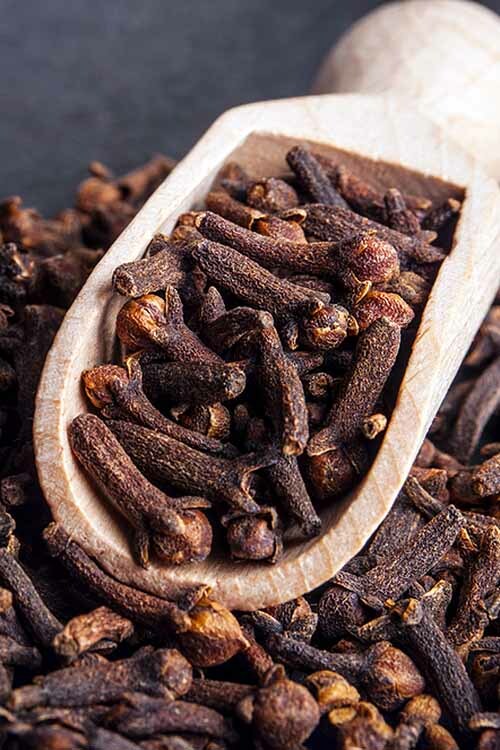 Clove oil has one of the highest concentrations of eugenol, which has numerous medicinal applications. Eugenol also acts a rubefacient, which causes the dilation of capillaries and increases blood circulation, making the skin feel warmer – and this also makes it effective in topical applications for muscle and joint pain. Eugenol is widely used as a local anesthetic in dentistry, and as an antiseptic for gum and tooth health. 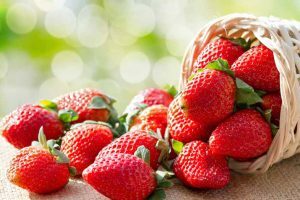 There is also a growing body of evidence showing it possesses high levels of antioxidants, as well as anti-inflammatory and anticancer properties. And eugenol-induced apoptosis (cell death) in melanoma, leukemia, and other cancers has been well documented. Used for millennia in Asian and Middle Eastern cooking, cloves can be used in the preparation of marinades, barbecue sauces, and pickles. 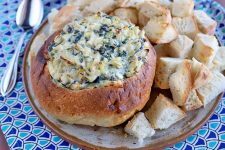 It’s also at home in legume dishes, soups, tagines, vegetarian dishes, rice pilaf, stewed fruit, and meat dishes like baked ham. 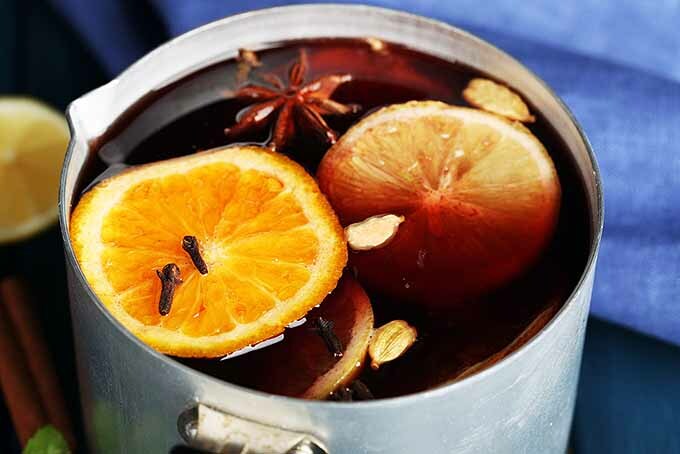 Plus, beverages like chai tea and mulled wine or cider come to life with the addition of cloves. 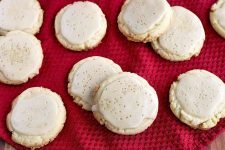 As one of the staples in pumpkin spice blends, cloves are right at home in baked goods such as ginger or banana bread, pumpkin pie, pumpkin spice cones, baked apples or apple crisp, and orange cake. 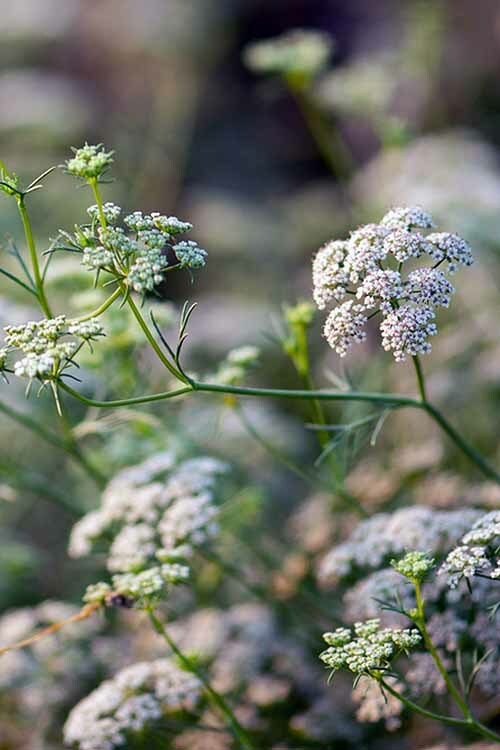 Cumin is a cousin of parsley, a flowering plant from the family Apiaceae, and is native to the region of the eastern Mediterranean through to India and Pakistan. A traditional ingredient in Middle Eastern, Western Chinese, Indian, and Persian cuisines, today it’s also widely used in Cuban and Mexican dishes. As with all of the warming spices, cumin seeds have a distinctive, strong flavor that imparts the sensation of heat to the taste buds. 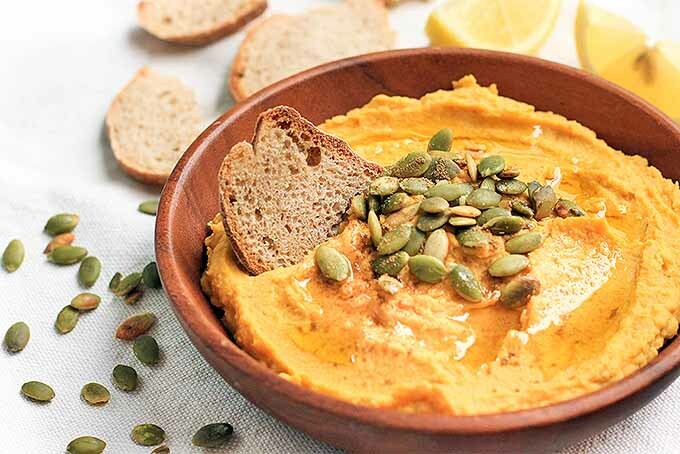 Pumpkin Hummus with Cumin and Toasted Pumpkin Seeds – Get the Recipe NowThe intensity of the flavor comes from their essential oils, with the most important one in cumin being the compound cuminaldehyde. 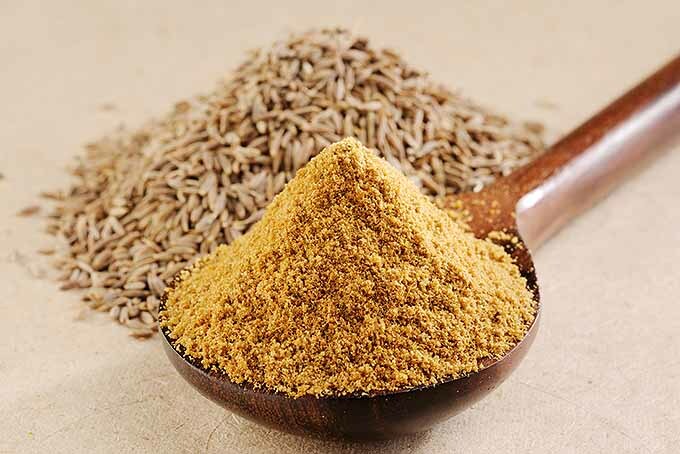 Naturally high in antioxidants, the active properties in cumin may help to improve digestion and the absorption of nutrients by stimulating secretion of gastrointestinal enzymes. Improved digestion means better absorption of nutrients, and greater efficacy in converting calories to energy. 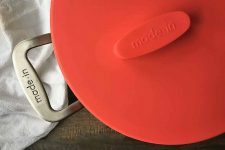 Tex-Mex Arrachera Fajitas – Get the Recipe NowCumin can be used in a wide range of applications in the kitchen. It’s a staple in curry powder, and can be used with black pepper to season steamed vegetables without salt. 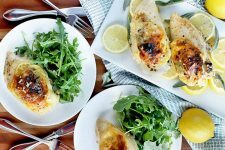 It adds flavor and warmth to chicken, fish, and meat dishes, like our Moroccan lemon chicken wings, or it can be added to legumes, pilafs, soups, sauces, pickles, or dips like our homemade pumpkin hummus. 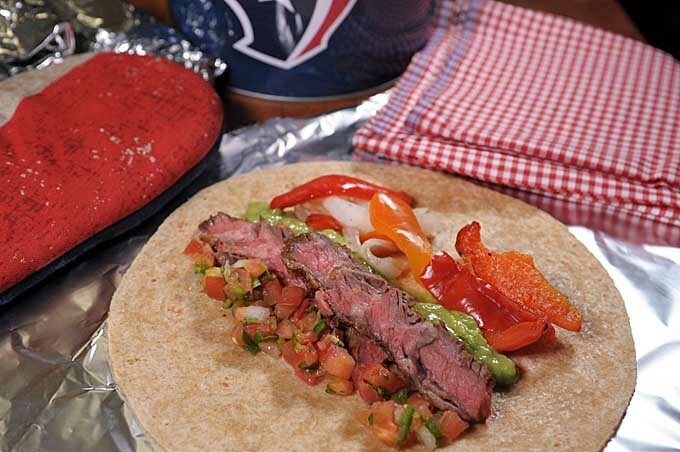 And it’s right at home in Tex-Mex recipes like these fab Arrachera Fajitas. I recommend trying it in a traditional yogurt-based Indian beverage, the lassi. Cumin is the perfect spicy accompaniment to this cool and creamy smoothie! 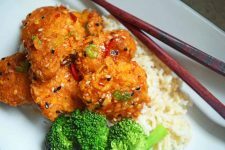 Another spice that packs a lot of heat, ginger belongs to the Zingiberaceae family and is indigenous to the moist tropics of southeast Asia. 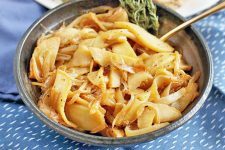 This familiar root is pungent and aromatic, and has been used throughout history for its distinctive flavor in cooking, and for its medicinal properties as well. 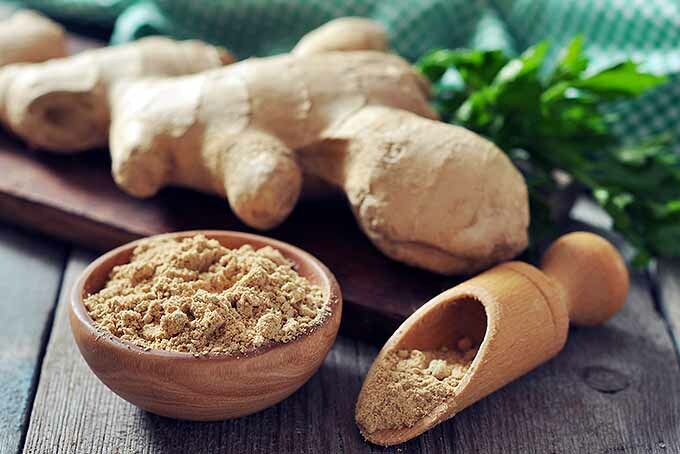 A favorite for treating upset stomachs, nausea, and motion sickness, ginger also has antiseptic properties and offers high levels of antioxidants. 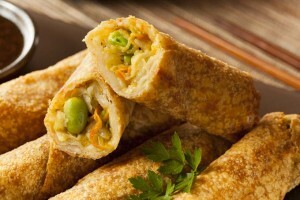 Its heat-generating quality is due to the high concentrations of its active constituent, gingerol. In its chemical profile, gingerol is similar to capsaicin and piperine, the compounds that give chili peppers and black pepper their characteristic spicy heat. As with other members of the Zingiberaceae family like cardamom and turmeric, ginger may also help to improve blood flow and circulation. 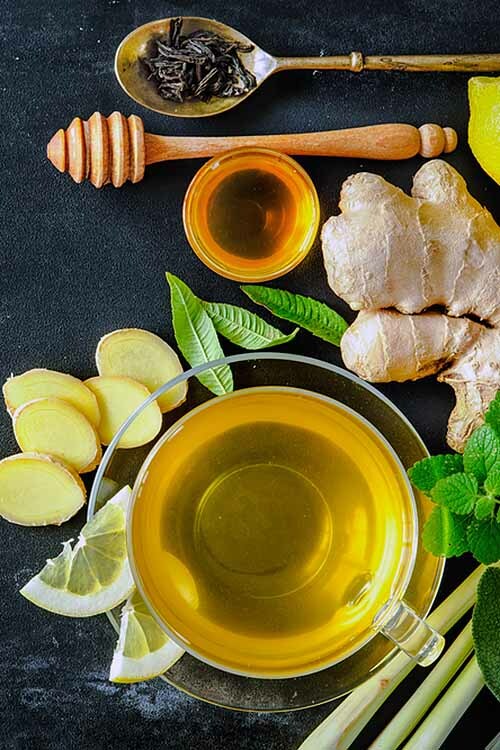 Raw ginger is delicious when simmered for tea and mixed with honey and lemon, as a seasoning for vegetables and rice, in salad dressings, stir fries, and marmalade. 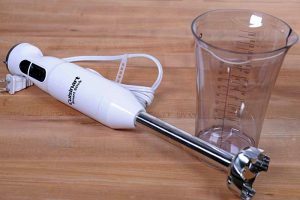 We also love to add it to fresh green juices, or a tangy papaya smoothie. 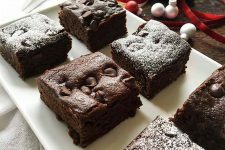 Dried, it works well in baking, with fruit cakes, and in stewed fruits. Plus, candied ginger makes a bold and tangy sweet treat! Another member of the Zingiberaceae family, turmeric is an aromatic rhizome with its roots in southern Asia. Like cinnamon, turmeric is rich in tannins and shares their astringent properties, helping to absorb excess water and tighten tissues. Again, this produces a drying and warming effect by raising body temperature. 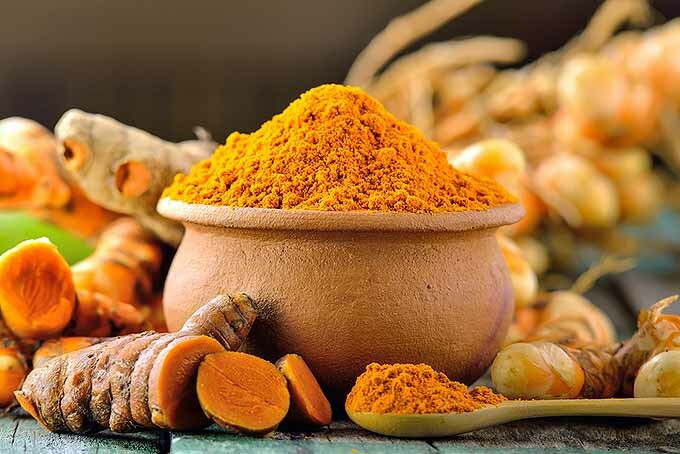 Curcumin is turmeric’s active ingredient, and it’s a highly studied one. It’s been shown to be anti-inflammatory and to improve blood circulation, and shows promise in the reduction of fat tissue formation and the prevention of obesity-related diseases and metabolic disorders. 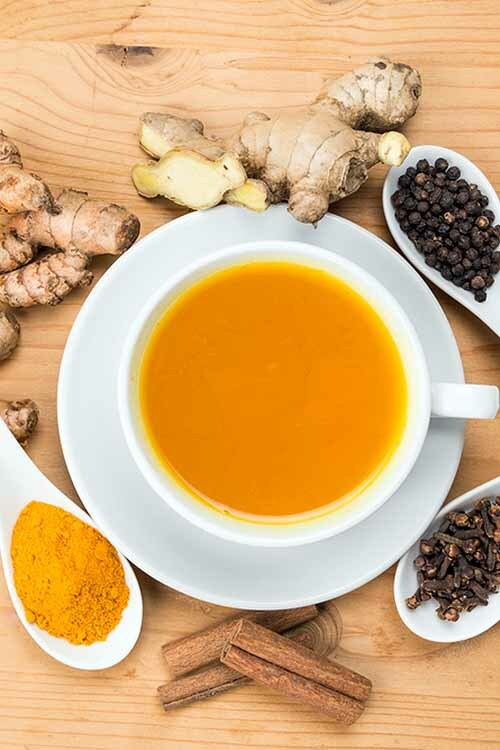 You can add more turmeric to your diet in salad dressings, with brown rice and earthy grains and pseudo-grains like quinoa, and in curries, lentils, and Indian dishes. 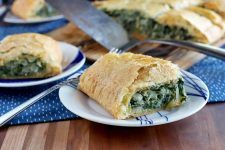 Try tossing some with roasted root veggies, or add a pinch to braised greens like kale, bok choy, and cabbage. 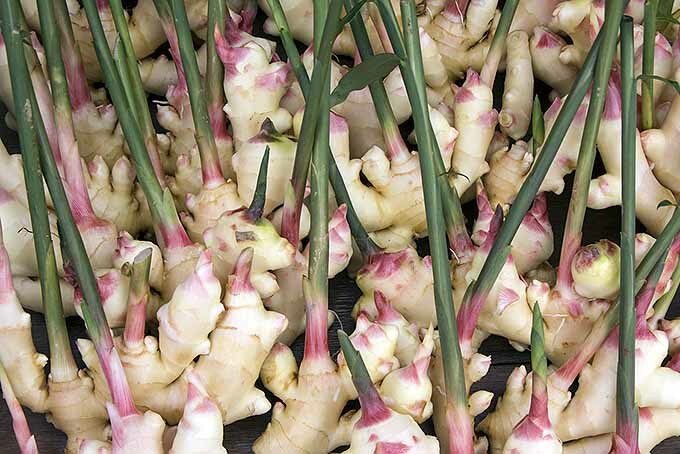 Ginger vs. Turmeric: ginger on the left. turmeric on the right. Turmeric is also a primary ingredient in tasty homemade mustard. Some herbs also have thermogenic properties and can be enjoyed for their flavors and heat-inducing active compounds. Sweet basil contains eugenol, which is the active ingredient in cloves. Try whipping up a batch of flavorful and warming homemade pesto during the cooler months. 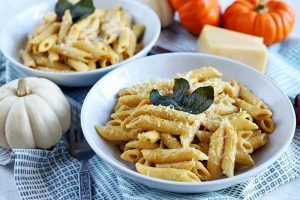 Winter and summer savory, oregano, and thyme all have a hot, peppery taste thanks to their high levels of health-promoting carvacol. These make a delicious addition to sauces and dressings, and pair well with proteins and savory dishes. Mustard seeds, dandelion greens, and nettles are thermogenic in nature and known to boost metabolism, as are oolong and green teas. Try spicing up your salad with something a little different, or pour yourself a warm beverage. To one degree or another, all foods may have a thermal impact on the body – but some have more of this heating effect than others. 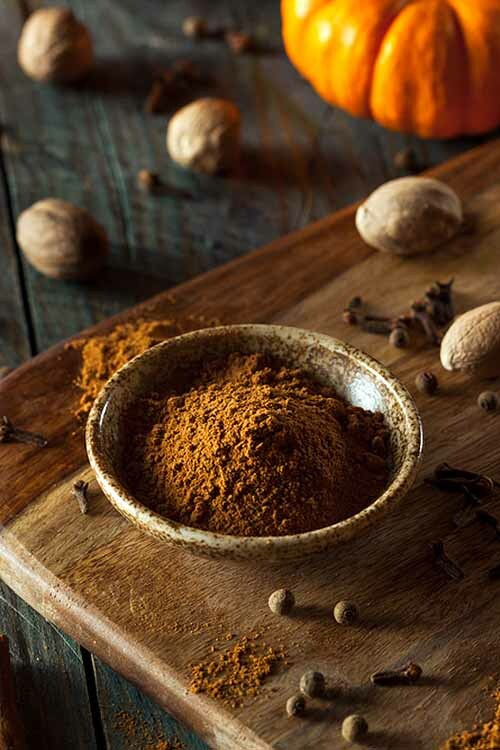 By adding some of these thermogenic warming spices to our daily fare, we can intentionally raise our body’s core temperature, which helps us to stay warm. Clearly, there’s no good reason to shiver from the cold this winter! Do you have any tips to share or favorite ideas for using warming spices in your cooking? Drop us a line in the comments below – we always appreciate your input! 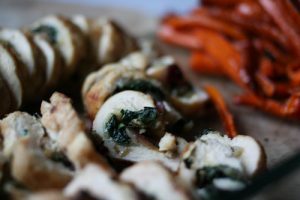 Improve the flavor of your culinary creations with all of Foodal’s spice and herb tips and advice now. And be sure to check out our Ultimate Guide to Kitchen Herbs and Spices. Orange cinnamon cream dessert photo by Nina-Kristin Isensee, pumpkin hummus photo by Felicia Lim, and arrachera fajitas photo by Mike Quinn, © Ask the Experts, LLC. ALL RIGHTS RESERVED. See our TOS for more details.